Cuba is the place of the infamous Cohiba cigars, the delicious Havana Club rum, the special Cubita or Serrano black coffee, and the birthplace of the well-known rumba, mambo, and salsa dances. But there’s so much more one has to know before visiting Cuba. 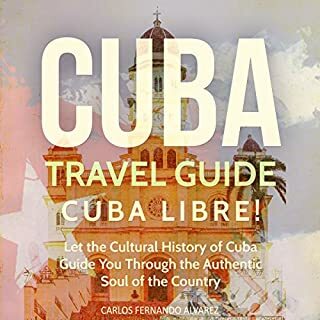 Cuba Travel Guide by Carlos Fernando Alvarez is your in-depth, up-to-date guide on one of the most iconic tourist destinations on Earth. History of Cuba: Cuba Libre! 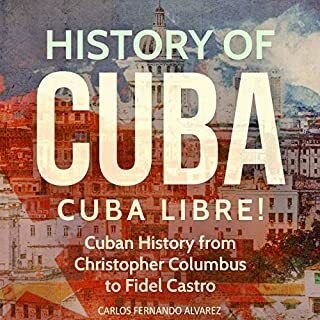 - Cuban History from Christopher Columbus to Fidel Castro by Carlos Fernando Alvarez offers a multifaceted, true story of history, politics, crime, freedom, revolution, and international conflict. Great resource on history and culture of Cuba. History of Havana: Cuba Libre! 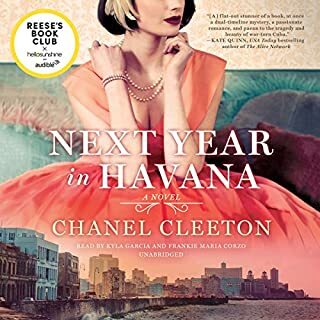 This audiobook details the discovery and establishment of Havana and shows the people behind Havana’s establishment and the specific timelines. It also captures the location, the colonial masters, and the activities therein. The themes of the history of Cuba are as vast as they are inspiring. Cuba has stared death in the face throughout its rocky history, and most of the time it has gazed into the eyes of death and smiled. Over and over, oppressors have attempted to seize this island and its riches for their own selfish purposes. And over and over, revolutions have risen up to conquer in an attempt to return Cuba to its people. 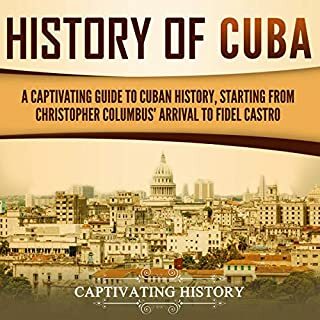 Get this audiobook now to learn more about Cuba! An indictment of our mainstream media in their attempts to demonize Castro. Read historic details that you will not find anywhere else. Interesting story about the political history that shaped modern day Cuba. 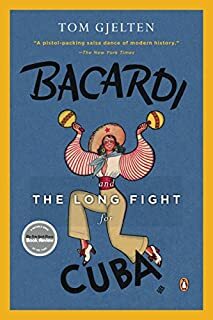 A good book about politics, businesses, and social events that led to the Castro revolution and development of modern Havana. You become much more aware of social and political exploitation and the means that were and still are necessary to end inequality. You gain a fair amount of knowledge on a man who's reputation was tarnished by the United States because of a difference in political thought. Actually, this is a pretty good book about what is going on there. The author is pretty brave but so are the Cuban people! The most realistic description of Cuba's contemporary reality available, both problems and strengths. President Obama and Secretary Kerry should read it. An unbiased documentary of Cuban relations written byCaptivating History that can analyze Cuban relations from an economic and eyewitness perspective. I now have a better idea of the difficulties of moving Cuba out of the old economy but into something more prosperous for the Cubans. I still think that they will end up with a well to do class and then the rest of the people. I wanted some cultural and historical background before going to Cuba. This book is just what I was looking for. It is informative and entertaining. It is concise and highly readable. Also depicting Cuba's evolving roles in Latin America, Communist, and U.S.relations. Should be required reading for anyone seeking to understand Cuba today. Five stars!! 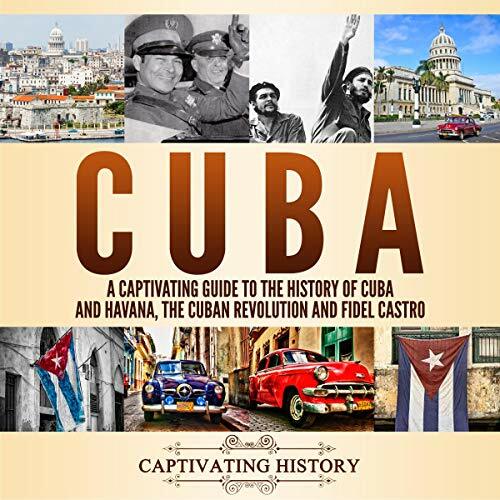 Captivating History does an excellent job describing life in modern-day Cuba and the difficult transition the country continues to undergo after the death of Fidel Castro and the stepping down of Raul Castro. Captivating History gives a very insightful account of the way Latin American politics work as well as the mechanics of everyday life in Cuba. details the aggrieved relationship between the U.S. and Cuba which has existed for the last 60 years. Book of the year !! I truly believe prosperity is on its way, and it will not be an easy process, but hopefully, Fidel's brother who seems to be more of hand on the guy, will make change possible, in their own Cuban way. A strong and thoughtful summary of the Bay of Pigs disaster. Well written, very interesting, backed up by in-depth analysis. Great detail. I couldn't put it down. I was just a pre-teen during this time and this book startled me. I learned a lot of things I had never known. love it. Truly gives you an unbelievable feel for the people concerned and the thinking going on by the players. Very satisfying read! I was an infant during this time, new what the BoP was, but this actually fleshed out the details. Excellent and informative book on Cuba, how it has developed since the revolutions and where it is now. So many of these books are filled with fluff and plugs for places to spend money at. This one is straight forward, summarized well and informative. I will keep this book forever. Son was captivated by story! My son enjoyed this book and it was just right for his level. A little difficult, but not too hard that he couldn't get through it, and was able to learn from it. This one got him interested in the topic. Enjoyed Cuban revelations, as an American born Cuban I appreciated the in-depth look at Cuba from Captivating History's perspective. Definitely, shed some light. The book is probably a "must BOOK" for anyone with business in Cuba or with the need to be up on policy in Cuba. While the general reader can glaze over while reading the reference data, there is nothing I know to substitute if you want to know what is going on in Cuba. 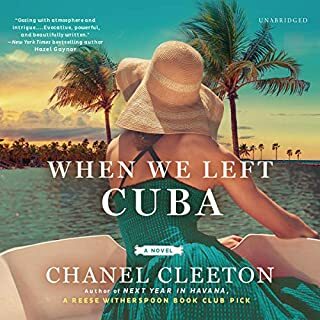 It is very easy to judge their story and history, this book made me rethink what I knew about Cuba, their communist government, and especially the Castro Brothers. One of the best history lessons of Havana I've read. The author did a great job. I do recommend it. It's a keeper... Highly recommended for anyone interested in Cuba, the Caribbean, or great world cities.